This is our most updated rate. As of August 1, 2015. 5. Oras ng pasok: stay in 3pm to 1am; stay out 5pm to 1am. 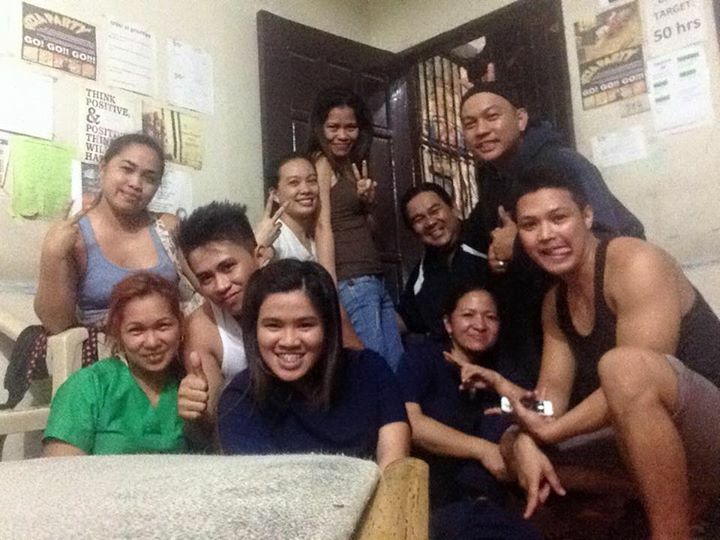 hindi kami 24 hours kaya hindi namin kayo iistorbohin sa pag-tulog. 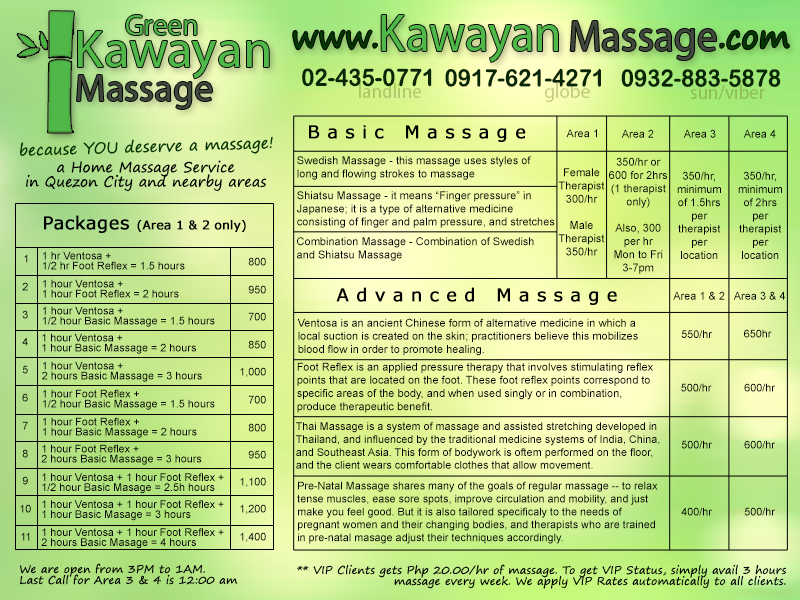 Kawayan Home Massage Service is HIRING! 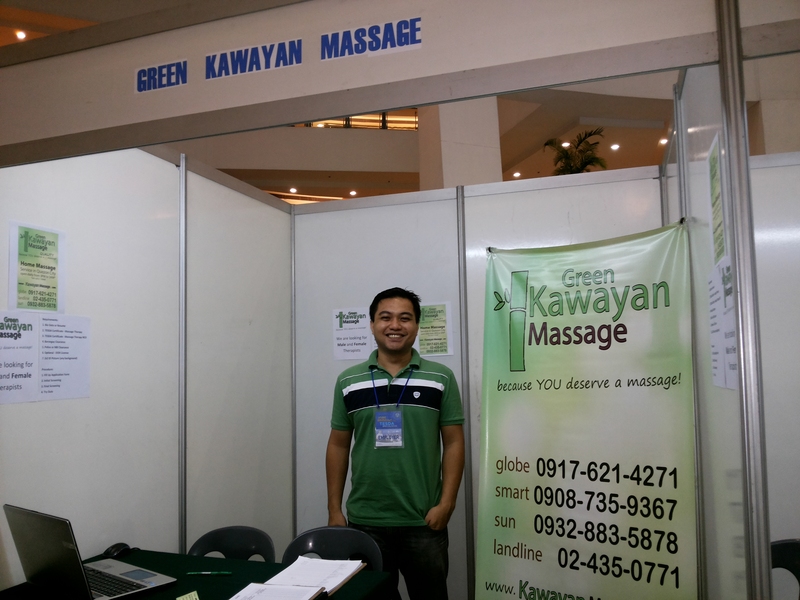 Kawayan Massage is a Home Massage Service with Headquarters in Quezon City. 4. ang oras ng pasok ay 3pm to 1am only. hindi kami 24 hours. nagrereply kami sa mga nagtetext during our operating hours only. 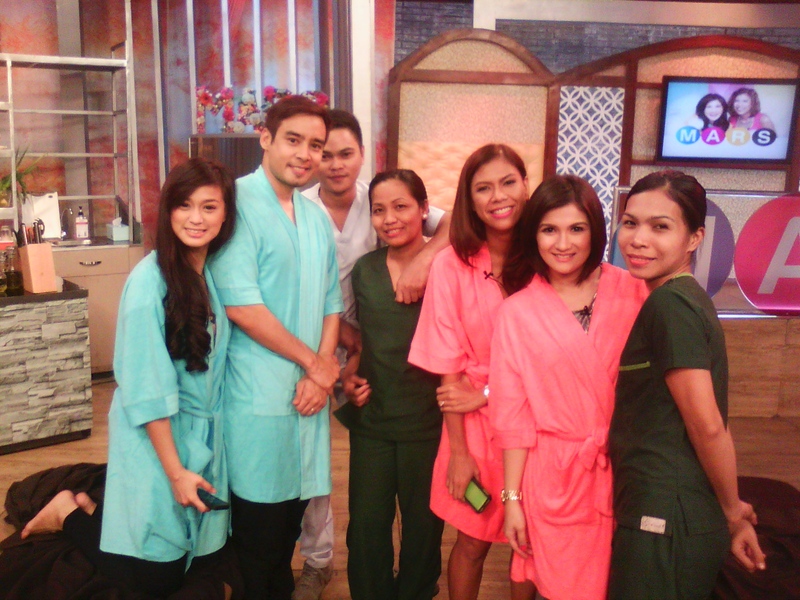 Kawayan Home Massage Service, because you deserve a massage. 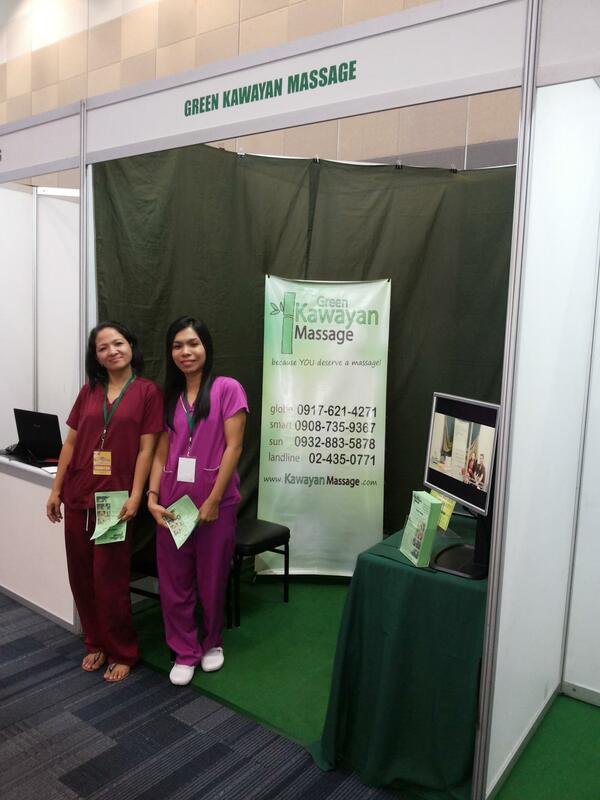 How to book your massage with Kawayan Home Massage Service? 1. 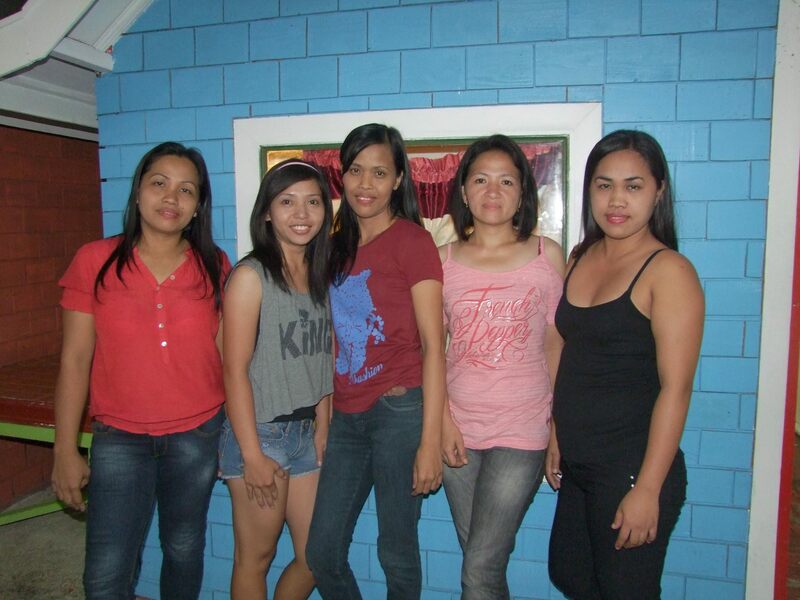 Just send us a text/sms message and indicate your Name, Address, Landmarks, and the time you need your massage. 3. Wait for our therapist/s. For Returning clients, it’s much simpler! That simple. One SMS and we’ll send our therapist.